In this article, we analyze the new URI schemes, some meta tags and also how to call Skype or Facetime applications from a website. 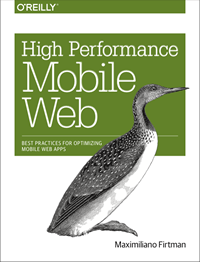 This content is partially extracted from my book “Programming the Mobile Web”, published by O’Reilly. The first de facto standard (copied from the Japanese i-Mode standards) is to use the tel: scheme. It was proposed as a standard in the RFC 5341, but be careful because most of the parameters proposed there do not work on any device. Today, we can find support for tel: URI-scheme in almost every mobile device, including: Safari on iOS, Android Browser (image above), webOS Browser (image above), Symbian browser, Internet Explorer, Opera Mini and low-end devices browsers. If the user activates a call link she will receive a confirmation alert asking whether to place the call, showing the full number. This is to avoid frauds tricking the user into calling another country or a premium number. I recommend inserting the phone number in the international format: the plus sign (+), the country code, the local area code, and the local number. We do not really know where our visitors will be located. If they are in the same country, or even in the same local area, the international format will still work. While many browsers, like iPhone, Android, Nokia and BlackBerry offer a confirmation alert for the call action, Sony Ericsson’s NetFront browser presents the user with a menu proposing different actions to take. Some non-phone mobile device (like iPod Touch, iPad), don’t allow voice calls. Instead, they show a prompt to add the phone number to the phonebook (see the image below). Some devices also allow sending DMTF tones after the call has been answered by the destination. This is useful for accessing tone-controlled services, helpdesk systems, or voicemail; you can say to the link, “call this phone number and, when the call is answered, press 2, wait 2 seconds, and then press 913#”. You do this using the postd parameter after the number: the syntax is ;postd=. You can use numbers, *, # (using the URL-encoded %23 value), as well as p for a one-second pause and w for a wait-for-tone pause. This function doesn’t work on all mobile devices, but on devices that don’t understand it, the primary telephone number should at least be called. The compatibility list for this feature is complex, and I don’t recommend relying on it. The BlackBerry browser and Safari for iOS (iPhone/iPod/iPad) automatically detect phone numbers and email addresses and convert them to links. If you don’t want this feature, you should use the some meta tags. Skype for iOS is another application having its own URI-scheme. We need the Skype username. Optionally, we can add a ?call parameter to initiate immediately a call. Without it, we will see the user’s profile instead. Remember that there is no way to detect on-the-fly if the user has the native application installed. You can find on my book a little hack to solve this problem. There are no URI-schemes for Google Voice for iOS published until now. Although the table below shows that it is not as well supported as tel:, the other way to originate a call is using the WTAI standard, via the wp public library and the mc (make call) function. As I mentioned in my book, the WTAI is an old standard coming from the WAP 1.0 era and available from WML. . This URI-scheme was created for contacting public libraries on the device and it is not working on Safari on iOS or webOS Browser. WTAI also accepts a link to be used while the call is in progress, but this is useful only if the user is in hands-free mode or using a headset. This link can include tones to be sent to the destination as if the user had pressed them on the keypad, specified using the wp library’s sd (send DTMF tones) function. Some models present users with a submenu when they click a tel: link so they can choose whether to place a voice-only or a video call (available in 3G systems). Some Japanese phones also allow you to specify that a link should initiate a video call, using the protocol tel-av:. Do you know any other technique? Feel free to add it on the comments sections below. Muy útil! Lo voy a implementar inmediatamente. Gracias! Hi thanks for this amazing resource! I recently added this to our business website and was wondering how I could best detect only certain browsers (that is, mobile browsers plus iPad etc) to convert any phone numbers to tel: links format. I ended up looking at a few basic user agents and then wrapping the number with jQuery. Is there a simple future-proof subset method you know of? When using Phonegap, the tel: prefix doesn’t work when in the page (under webos/jqtouch), does anybody have any experience of this? Great tip – thanks! How can I disable this click-to-call on regular browsers (non mobile devices) because currently it says page cannot be found when browsing from a desktop. Will it work on all mobiles.I have problem with I pod Touch..how do I reslove it. Hi – have you heard of a way to insert content into a text message using the Send link! syntax? I wish to insert the link to the mobile-page, so that the customers can share the url by SMS. Thanks! Unfortunately, I can only get it to open the text box, but no number or text is included. I noticed this phone number only has 10 digits instead of the standard 11. (1-800-229-933) This may be a stupid question, but does having the + require the phone number to be only 10 digits? Is there any way to write code that forces Skype to start a video call instead of just a voice call? Any code that starts a video call? That href value should be “callto:+15555555555”, just like a “mailto:” email link. Well, be careful with that because as far as I know it’s not part of any standard and it should work only on some browsers. Tel is the right way to do it and it will work on most mobile browsers. callto sometimes works with Skype only. and get a “web page not found” error when I try to click it on my Android phone (Samsung SPH-M820). Does anyone know why the code will not allow me to call when clicked? Website this code is installed on is linked to my name on this post. TIA. If anyone know why I get a “web page not found error” when I click on it with my Android phone, please post a fix. TIA. Robert, it seems you didn’t read the article you are commenting on ;) You must use the tel protocol to have a working link, your href attribute should be tel:+1262…. Regards! Just remove ” ” to see what I put in my website. If anyone knows why I get a “web page not found error” when I click on it with my Android phone, please post a fix. TIA. firt, I apologize that my attempt to put the code here keeps turning into a link. I am using the given protocol tel:+1262… but still get a “web page not found error” on my Android phone. Could it be my phone? Does my link allow you to call on your phone? Thanks for your reply. This is very frustrating for me. and I get a “web page not found error” also. somewhere I found advice that said to add a ? at the end of the number, but that didn’t work either. Firt, Do you know if the SMS uri would work with the body attribute in Android and iPhone, I tried in Android but it did not work, with only the number it works. what i have to do for sms. Emily : I noticed this phone number only has 10 digits instead of the standard 11. (1-800-229-933) This may be a stupid question, but does having the + require the phone number to be only 10 digits? Emily, thanks for your addressing this. Firefox doesn’t know how to open this address, because the protocol (tel) isn’t associated with any program. Ideally, when they click the number from their computer they can choose between google voice, skype or any other IP-based phone service. “callto” does not seem to consider google voice as an option, and it does not work on (android) mobile devices. I entered the css you suggested, but I know I am missing something. Thanks! Any ideas how to determine if a call is made? Does ios or android pass any call results? ideas? Rich; no way to know if the call was made or not unfortunately. Is there a way, when someone clicks a tel:# link for that prompt to be added? I am creating a mobile emergency web app that requires client to ‘save’ a phone number in case of emergency, of course on iPhone and Androids. Unfortunately, there is no standard way to do that today. Re #30 – The way that I track this is to use a dedicated phone number within the “tel: ” section. I then compare the page loads of the mobile site against the call records from the phone number provider, which gives a ratio of viewers to callers. It’s not as snappy as having the click count picked up automatically, but it works. While I’m here: is there a way to add a company name as well as the phone number to the call confirmation screen that the user sees? Just be nice to have both showing. I am building a mobile web app which has click to call functionality. Here i am using Call us . This is working fine everywhere except in HTC WildfireS with 2.3.3 version only. In this device, when i click on the link, it popups up with Voice call or Video call. Also, browser address bar is updating with tel:18002299338 in the background which is not expected. Can this behavior fixed in this device ? Hi I’m a designer from Brazil and I was trying to make a Nextel device call another Nextel device using the method described on the post (Example: Ping John), but couldn’t make it work. Am i missing something? I apologize if my question seems kind of stupid. Is there a way to make click to skype calls for android browsers similar to iOS? I’m trying to make a click-to-call list in google docs to be used on my iPhone 4S and every method so far has failed. If I do it on a spreadsheet on the computer, I click link and fill in =hyperlink(callto:+15555555555,555-555-5555), it says Invalid link and erases it. I’ve also tried it with tel: and call:. Editing on the iPad and iPhone it just says #ERROR. It also doesn’t work with a google doc on the computer and on the mobile devices I can’t find the button for inserting a link in a doc. my number is *133#, its not supported. I tired tel:*121%23 but doesn’t work. # is a problem i guess.